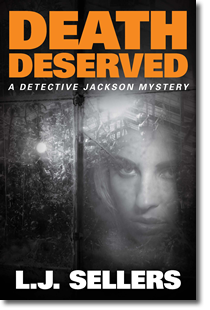 Detective Wade Jackson braced himself before stepping into the chief’s office. Being summoned to see the head of the department was never good, and it happening first thing in the morning seemed ominous. This would be about politics to make the citizens’ review board happy—or some other project that didn’t enhance public safety. But the people of Eugene, Oregon, had high standards, and the city’s police officers had screwed up time and again. The top brass was trying to orchestrate a cleanup and regain the community’s trust. “Have a seat.” Chief Warner’s expression was grim. So this wouldn’t be quick. Jackson sat on the edge of a chair, back straight. “Lammers was hospitalized last night,” Warner said. “She’s violently ill, and the doctors suspect it’s some kind of environmental poison.” The chief paused to let him process the information. “What happened?” Jackson couldn’t imagine a scenario in which the big, smart sergeant could be accidentally poisoned. “We’ll prioritize it.” Jackson shifted, ready to get started. Jackson headed back to his workspace, appreciating the big windows with a view of the trees along the Willamette River. A huge improvement over the ugly building he’d worked in for the previous twenty-two years. As Jackson neared his desk, Rob Schakowski stood up in his own cubicle, a fresh buzz cut highlighting his square face. “What’s going on?” his partner asked. Schak was the longest-serving detective in the unit. But he wouldn’t be offended that the chief had asked Jackson to take charge. Neither of them wanted the mostly administrative position. They preferred the fieldwork. “Thanks. I’ll take it from here.” He glanced at Schak. “A shooting. I need you to get out there while I make more calls.” Jackson gave him the address, which was in one of their pockets of jurisdiction in the Santa Clara area. Schak hustled back to his desk on short legs topped by a barrel-shaped chest. It wasn’t pretty, but his partner could hustle. “Get Evans and Quince out there too,” Jackson called after him. He hurried toward his own cube to grab his shoulder bag. While he checked the contents to make sure he had everything he needed to process the scene, he made more calls. First to the evidence lab to get technicians and a ballistics expert out to the crime location, then to the medical examiner’s office. They weren’t currently working a homicide together, so Rich Gunderson seemed surprised to hear from him. “I don’t know. I just found out.” Jackson grabbed latex gloves from a drawer and shoved them into his satchel. “But our first priority is a shooting at a pot farm. Two victims, who may or may not be dead.” Why had the caller not given a name or stayed on the phone? Jackson gave him the location without comment. He had mixed feelings about the legalization of marijuana. It was making law enforcement more challenging during the transition, but in the long run, it would free officers to focus on crimes with real victims. Even though possession had been only a misdemeanor in Oregon for decades, the black market for sales created turf wars that got ugly sometimes. Now it looked like the legal market was getting ugly too. Jackson raced along River Road in his unmarked sedan, grateful for the midmorning lull in traffic. The dark sky threatened rain, and he hoped the scene was indoors. Most growers maintained year-round indoor crops with lights set on timers. The state had licensed only a handful of commercial nurseries since pot had been legalized by public referendum, but many of the medical marijuana growers, who’d been operating for nearly a decade, still opted for low-cost outdoor harvests. Not this time of year though. It was midwinter, so half of Eugene’s canopy of trees was bare and the sidewalks were empty. Not even the crazy cyclists were out today. A long moment of silence. “Who’s been shot?” she finally asked, her compassion kicking in. “Two pot growers, but I don’t know what their status is.” He wanted to tell her about Lammers and his temporary leadership role but decided to wait. The extra responsibilities might mean overtime, and she didn’t need to hear that right now. “Will you be able to pick up Benjie?” Kera asked. “Or should I just keep him overnight?” She’d taken a leave of absence from her job as a nurse to care for their two young boys until they were more emotionally stable. Micah, her grandchild, had been orphaned by the separate deaths of his parents, and Benjie was a toddler who’d bonded with Jackson at a crime scene. He’d bonded back and eventually won custody. Even though they didn’t look like they belonged together—with Benjie being blond and blue-eyed and Jackson having dark hair and eyes—people still smiled when they saw them together. Yet Kera had been the one to step up and become Benjie’s caregiver part-time. “I’m not sure yet,” Jackson responded. “But I hope to make time to see him today.” The boy still got worried if Jackson was gone for too long. Benjie had witnessed his mother’s murder, then spent the night alone in the crawl space under their house. Jackson took him to a therapist twice a month, and the boy had recently had a breakthrough. Jackson’s teenage daughter also saw a therapist regularly, and the thought gave him another stab of guilt. He was directly responsible for that issue. “I know. See you later.” She hung up, letting him off the hook without an affectionate good-bye. She probably thought he had another detective with him. He drove a mile, past suburbia-style homes on traditional lots. As the landscape changed to older rural homes with acreage, he spotted a group of patrol cars clustered in front of a tall white farmhouse. An ambulance sat in the entrance to the driveway. Jackson pulled off behind a dark-blue SUV—one of the new patrol vehicles that would eventually replace all the Impalas—and stepped out. Two more old-style patrol units sat along the road, while a red Nissan pickup and a white Honda—the victims’ cars?—filled the driveway. Two officers stood on the front porch, and another walked along the road toward the next home, which was at least two hundred yards away. A plum orchard took up the long space across the street. Probably no witnesses, Jackson thought as he climbed out. Behind the farmhouse, a new streamlined building stretched to the back of the property. Vents in the roof leaked a pungent, almost skunk-like smell of marijuana plants. How far did the aroma drift? Small medical-marijuana grow operations in denser neighborhoods had already generated complaints about the smell. The state, as well as city councils, would be tweaking regulations for years—until the complexities were ironed out. Jackson approached the officers, who greeted him by name. “Anything I need to know before I go in?” he asked. The loud crunch of footsteps on gravel caught his attention, and Jackson turned. Paramedics rounded the corner of the house, carrying what looked like a small woman on a sling gurney. Jackson moved toward the back of the ambulance, hoping to see the victim as they loaded her, maybe even ask a question. “Is she conscious?” he called as they approached.